As you can see from the “before” picture, the house is extremely horizontal with a sea of grass that was costing a bundle to water. 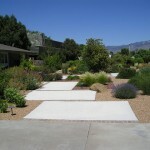 The sheer size of the lot was overwhelming, so we broke it down with the two different types of gravel, creating a courtyard-like feel without an actual wall. The house is brick, which would have been impossible to match with a new wall. With my background in architecture, it is critical to me that my work does not look like something that was tacked on later, but pays due homage to the architectural style of the house, and gives the illusion that it was part of the original construction. 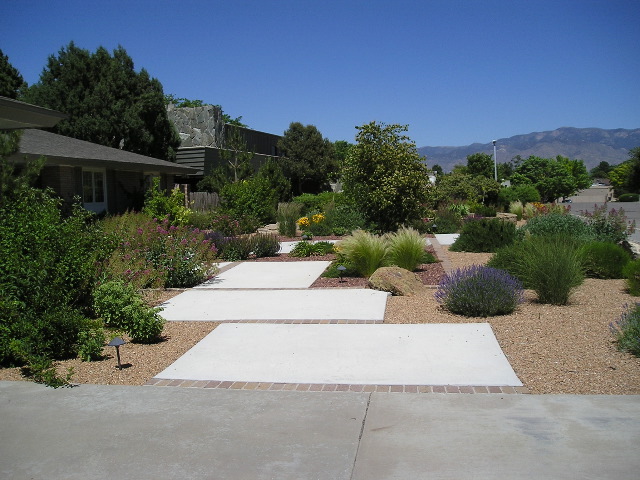 I did use a brick however, which was as similar as possible, between the concrete rectangles of the walkway, as well as defining the two different colors of gravel. 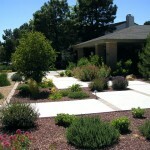 This ties the landscaping to the house. 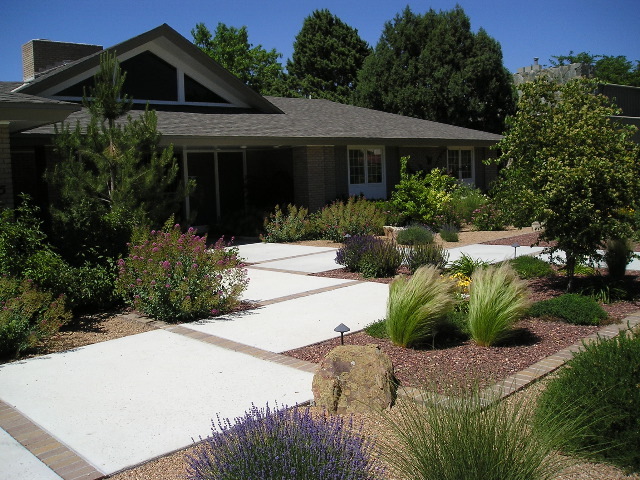 Originally from California and wanting to emulate that style, the owners also needed the front walk to be wide enough to accommodate a wheel chair. 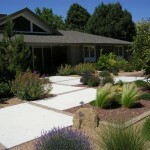 The soft plantings really help break down the strong horizontal lines of the house. 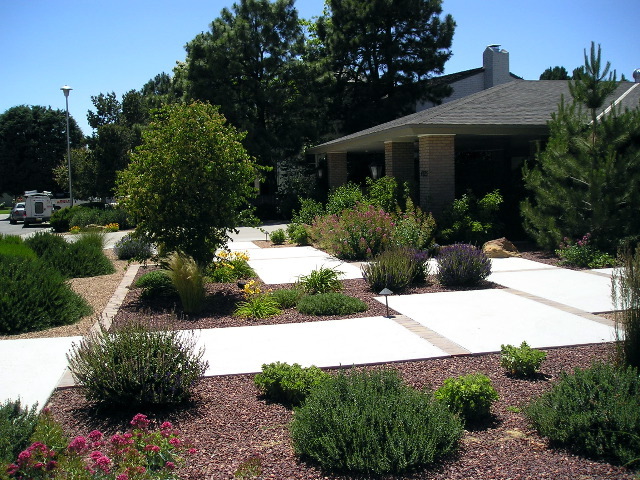 Xeriscapes can be quite lush while conserving water, and don’t need to be a “zero-scape”. This project clearly illustrates that.